Welcome to Nine Days More, your one stop source for all your Nine Days needs. Hosted here are MP3s, b-sides, live performances, videos, & everything else released by the band. Take a look around and browse or search our collections of over 300 songs. Be a part of the community on the original and official Nine Days Message Board. Enjoy! News: New Comeback Album! 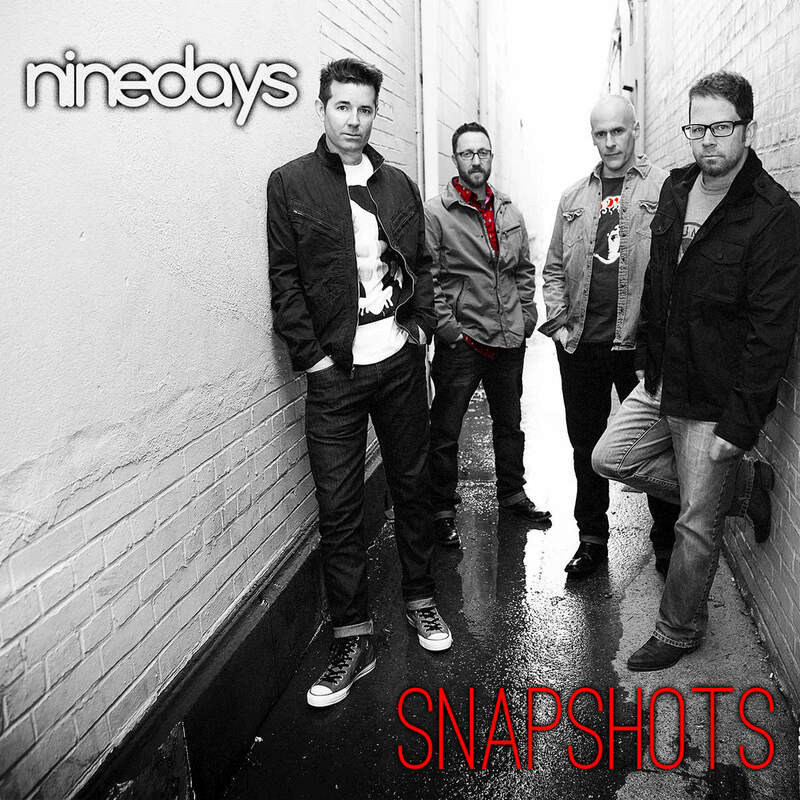 "Snapshot"
After nearly a decade, Nine Days is finally making a comeback. John Hampson and Brian Desveaux along, with original members Nick Dimichino and Jeremy Dean, have reunited to write and record their new album Snapshots. The album, set to be released on July 8th, 2016, is produced by eight-time Grammy-award-winning producer Jim Scott (Wilco, Tedeschi Trucks Band, Grace Potter & The Nocternals). Pre-order your album now on Amazon and/or iTunes! Read more about the release on Nine Days Music. Nine Days More is "built by the community" so if you have a song or video not already up here and you would like to share it, please click here. Thank you for your contribution. Remember, media posted here can only be demos, live recordings, or media that are no longer available for purchase.